Price action trading has become one of the most widely used methods by FOREX day traders as well as position traders worldwide. This popular forex trading approach, which is all about basing trading decisions on a clean price chart analysis with no indicators whatsoever, is often misunderstood by many. Although most, so called, price action trades know that they should not use any lagging indicators, they are often not aware of the fact that they should also get rid of „time” as it is irrelevant to price action trading. But how do you get rid of time from charting software most commonly offered by brokers, such as Metatrader, Trade Station and Ninja Trader? The answer is simple – stop using time based charts as price action indicators! While most premium charting software packages offer custom charting options, designed to be used for price action trading, such as Renko charts, Tick charts and Range charts they have one major disadvantage to the standard retail trader. They require a fixed monthly fee, which discourages new forex traders from discovering the power of price based trading. But Metatrader 4 fills the gap in the market. 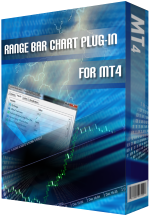 This charting package is free, offers advanced charting options and outperforms the competition. Additionally MT4s major flaw (only time based charts are available) can easily be fixed by applying price action indicators, otherwise known as plug-ins. 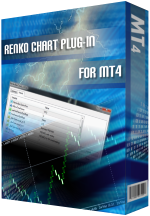 Yes, Tick charts, Renko charts and Range charts are all available on Metatrader4! Another price action trading rule frequently misunderstood by newbies – “Don’t use indicators for price action trading”. This rule should be phrased: Don’t use any indicators, which PREDICT as these are what we call lagging indicators. It is perfectly acceptable to uses indicators, which INDICATE and were designed to help us visualize important price action patterns.